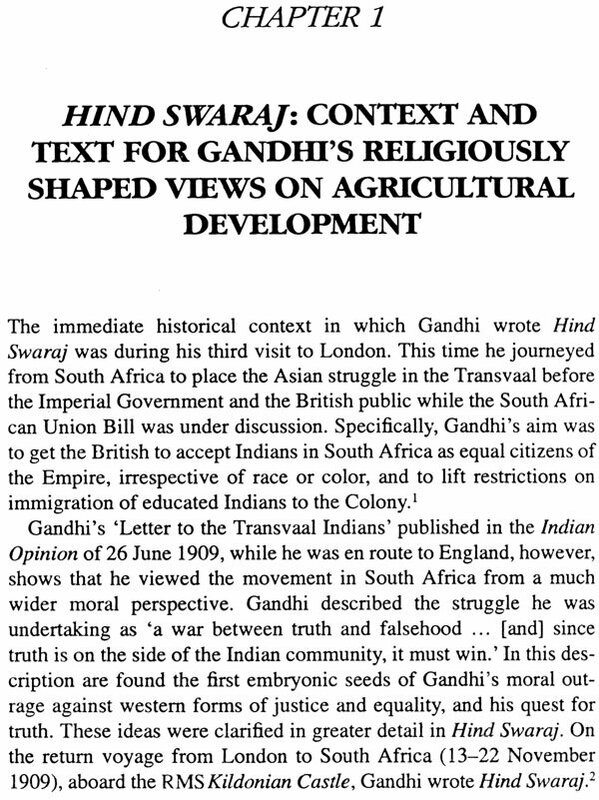 Based primarily on Mahatma Gandhi's fundamental work entitled Hind Swaraj (1909), this book examines the practical application of seminal Gandhian precepts to the sphere of agriculture in the context of contemporary India. 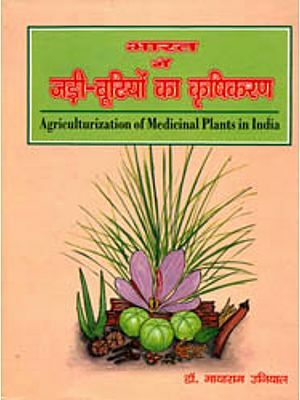 In addressing its principal concern-whether Gandhian moral and ethical principles can serve as a basic for establishing a harmonious, poverty-free, nonviolent, and self-reliant society the book provides a moral frame work for transforming Indian agriculture and society at large to meet the human needs of India's poor. 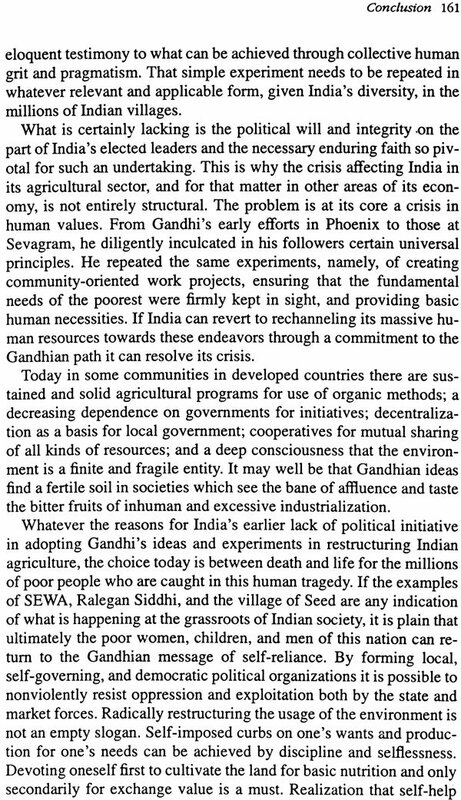 Arguing that agricultural and related issues simply cannot be viewed in isolation from basic moral and human values. Vivek Pinto constructs a provocative theoretical and practical framework which draws upon a wide range of disciplines covering diverse areas of human experience. Employing interdisciplinary methodologies, the author carefully explores four distinct but interrelated themes, each of which contributes to a holistic understanding of the book's main concern. 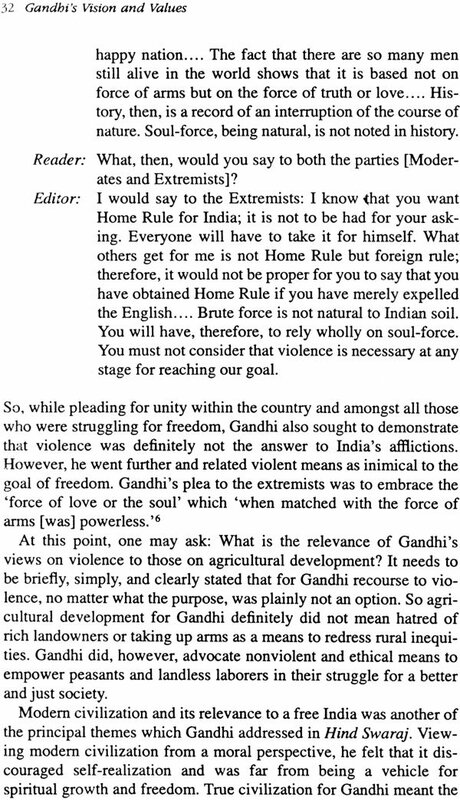 The first chapter delves into the context and text of Gandhi's religiously shaped views on agricultural development, while Chapter 2 analyzes the essential relationship between agricultural development and Gandhi's religious perspectives. 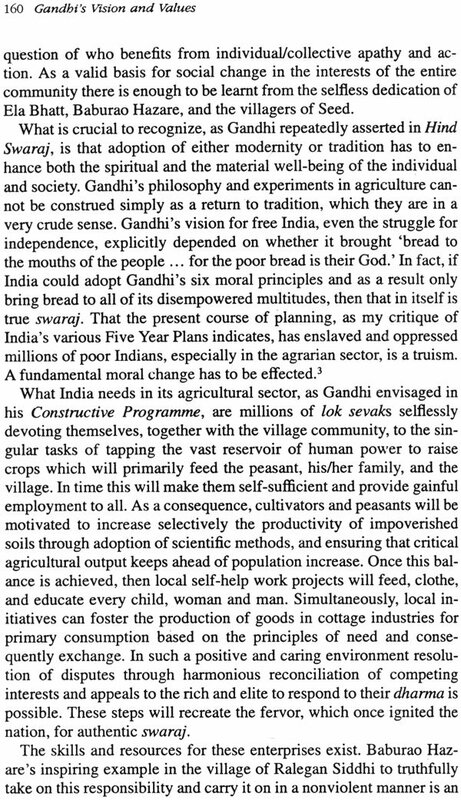 An exhaustive review of planned agricultural development in India during the period 1951-1974 is provided in the next chapter. 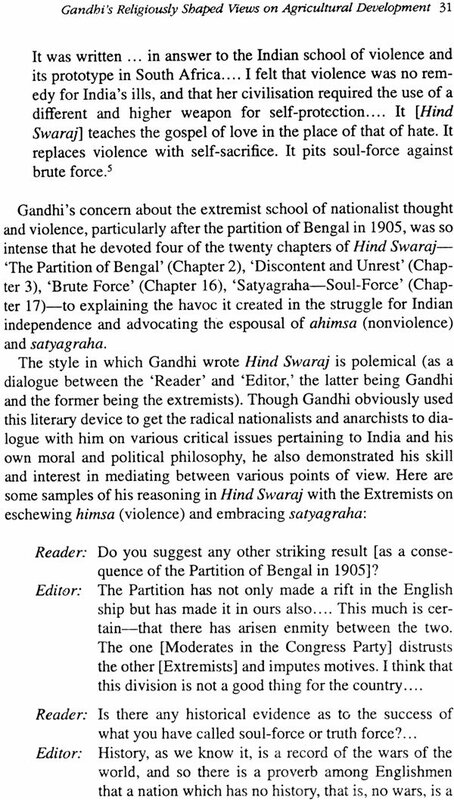 Chapter 4 evaluates the relevance of both Gandhian experiments and various current alternatives. 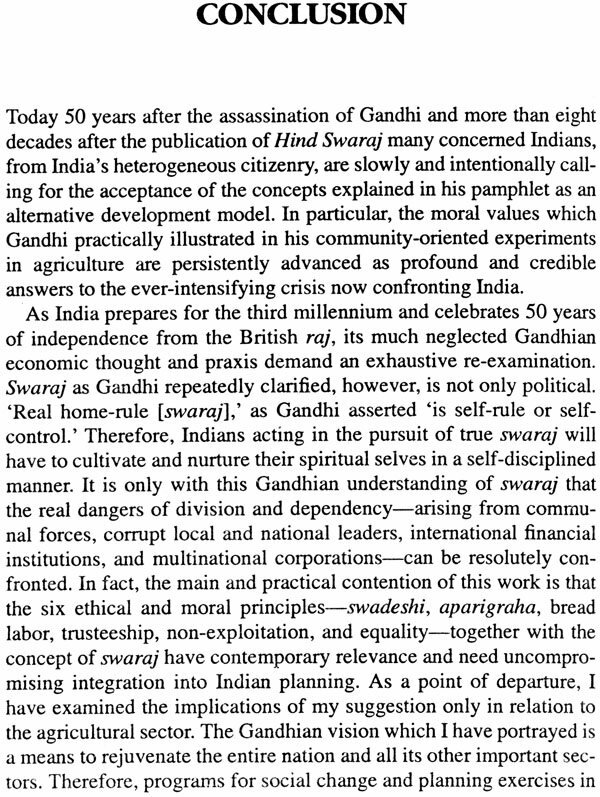 In conclusion, Vivek Pinto explicitly demonstrates ways in which it is possible to effect the social transformation of agriculture and other sectors of Indian economy in accordance with Gandhi's vision of an India which struggles for true Swaraj. 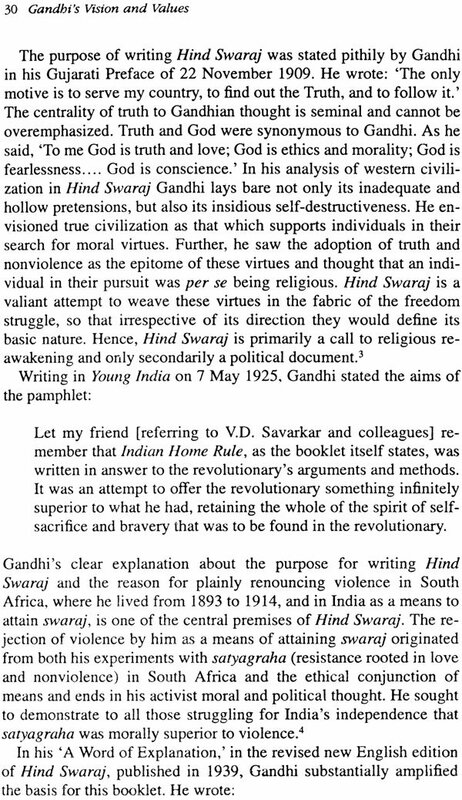 This morally challenging work be of direct interest to students and scholars belonging to a diverse range of discipline including agriculture, economics, politics, ethics, peace and nonviolence, history, and religious-studies. 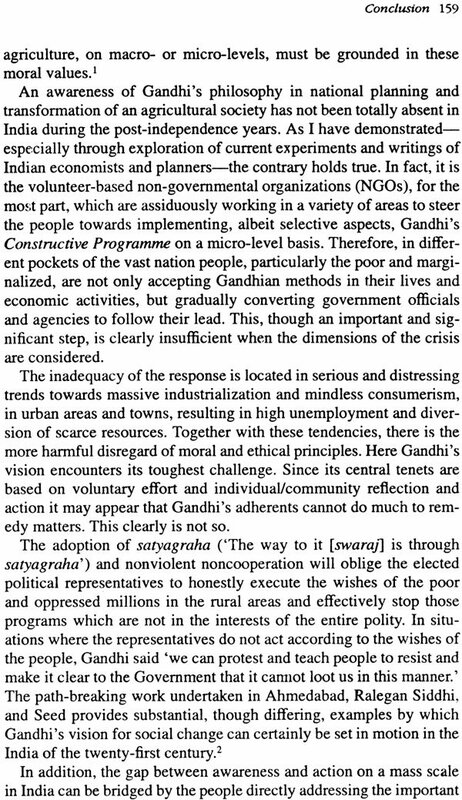 It will also be of value to people's organizations, policy-makers, and planners. Vivek Pinto formerly a Lecturer in the Peace Studies and History Departments at Saint John's University, Collegeville, Minnesota, USA, is at present an independent scholar based in Mumbai, India.